In the French Classical period, composers wrote suites of pieces that were used in alternation with the choir. 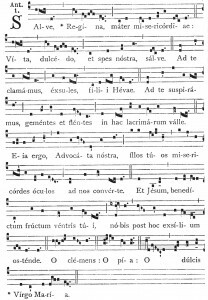 The choir would sing a verse of chant and the organ would play a verse, trading with each other until the entire chant text had been proclaimed. 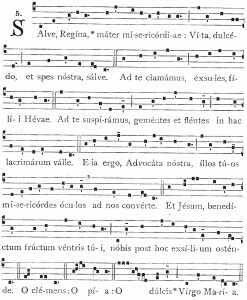 Except for the Gloria during Mass, the organ would generally play the first movement in order to establish the mode and pitch for the choir. 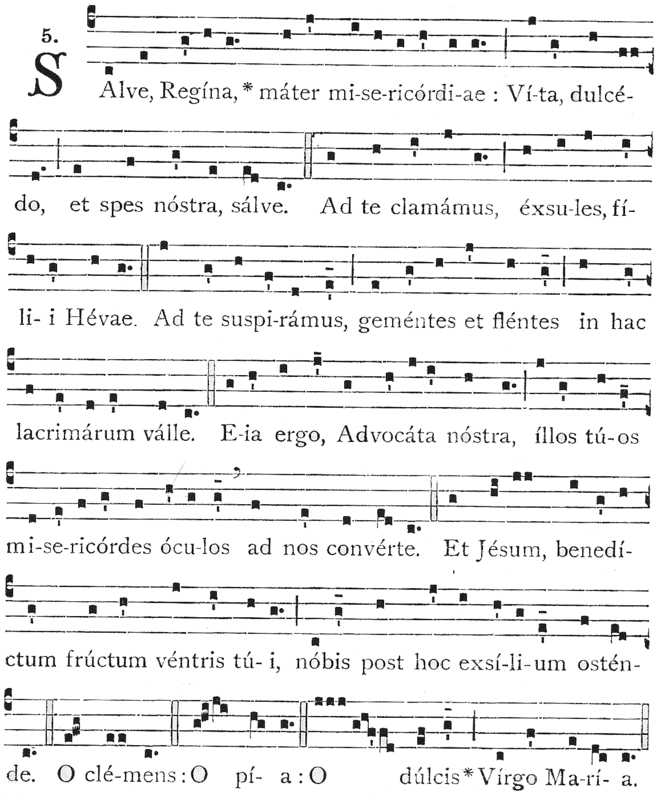 The first movement might also clearly cite the theme as a reminder for the choir of the melody that they were about to sing. The easiest way to describe these tonalities is using the white notes of the keyboard for the ranges listed next to the names above. While this is a vast oversimplification of the use of modes in chant, it will give you a basic idea of how each mode has a different character. These modes could be transposed to other pitch centers to make it easier for the choir to sing the chants, so while you may not need to know how to play every mode starting on any pitch, in order to improvise in the French Classical style, you definitely need to know the modes. The links above and last fall’s newsletter on learning modes are places to start if you need more of an introduction. The pedal trompette is quite a loud stop compared to the typical pedal trumpets on most American organs. 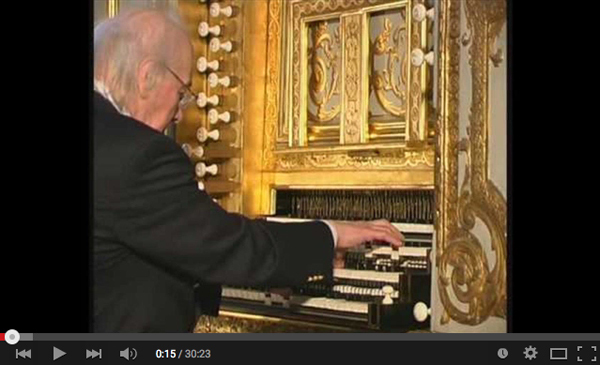 Take advantage of all the videos on YouTube to listen to some of the historic instruments like Poitiers, St. Maximin, or even the restored Dom Bedos in Bordeaux if you haven’t gotten to hear these sounds live and in person. Le grand plein-jeu doit se traiter gravement et majestueusement, l’on doit y frapper de grands traits d’harmonie, entrelacés de syncope, d’accords dissonant, de suspensions et surprise d’harmonie frappantes. The great plein-jeu must be treated gravely and majestically. There one must make broad strokes of harmony, entertwined with syncopations, dissonant chords, suspensions, and striking harmonic surprises. Especially in the earlier not so equal temperaments, this is definitely a striking chord progression! 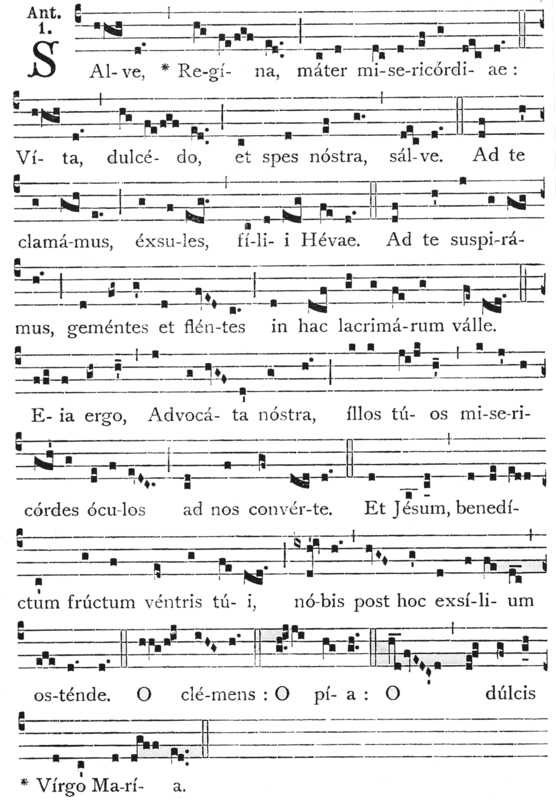 Unless there is a theme present, many times these pieces simply seem to wander through chains of interesting harmonies in the tonic or closely related modes. Themes tend to be in half notes in the pedal, usually in the tenor, but occasionally in the bass. Looking at a standard harmonized hymn and placing the melody in the tenor played by your feet requires practice. 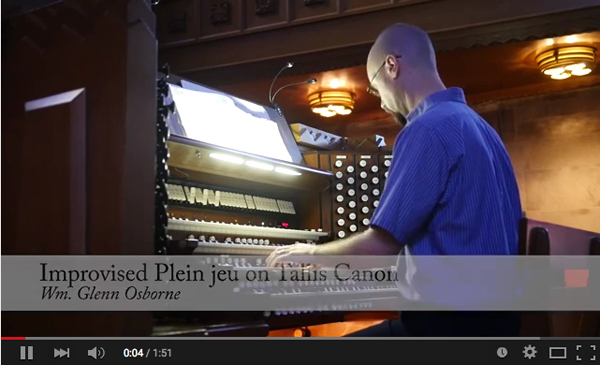 While not my best improvisation ever, I did manage to record a short plein jeu on Tallis’ Canon this week as a demonstration of the style and so you could hear the organ at the Cathedral. 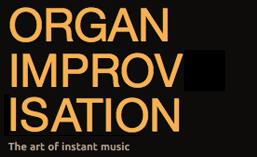 Feel free to share your own improvised plein jeu performances in the comments for this post. Posted in Lesson, Newsletter. Tagged French, Lesson, Modal, Newsletter, Plein jeu, style, YouTube. Before improvising in a style, it is always a good idea to play as many of the written pieces as possible. Scores from these and other composers from the era are available from IMSLP. While there will be differences in the pieces between composers, by playing through a large part of the repertoire, it becomes easier to identify the common characteristics of the style. While the order and number of interior movements varies, the suites almost always start with a Plein jeu and end with a Grand jeu. In the category of Récit, I am including movements that feature a solo stop and accompaniment such as Tierce en taille and Basse de trompette. Don’t worry if these titles don’t mean anything to you for now. I plan to spend the next few weeks explaining each one individually, offering comments on the style, registration, and steps we can take towards improvising these different pieces. Posted in Information, Lesson, Newsletter, Style. Tagged French, French Classical, Michel Chapuis, Newsletter, Plein jeu, style.